There are countless times where you need to send money to a friend or relative. Perhaps you’re out to dinner with friends and you don’t have enough cash on you to split the check. Or maybe your daughter at college needs spending money in her bank account for the coming month. With younger kids, paper birthday checks tend to get lost on their dresser, only to turn up months later, if ever. That’s the problem Square Cash is solving. It’s a simple-to-use app – available on Android and iOS – that lets you quickly send or receive money from anyone using the Cash app via your debit card or bank account. Best of all, it’s free for personal use with your debit card. To send money, just enter the amount, find your friend (you can use their name, Square Cash app “$Cashtag” or email address) and pick your payment method. The money is instantly delivered to their Cash account. Your friend can then choose to deposit the funds into their bank account (automatic deposits are available), hold them in their Cash account for paying others, or add them to the app’s built-in virtual Visa debit card. Bank deposits are free for next business day, or pay 1% for immediate transfers. iPhone owners can even use Apple Pay through the Square Cash app. If someone owes you money, you can send them a request through Cash with the amount, and they can easily click on the notification to pay. I used Cash to send money to a colleague who helped me with a project and found the process very straightforward. It took far less time than mailing a check or even processing an electronic payment through my bank’s online dashboard. And in the future, I can easily see using it to replace many of the other things I currently need to do with paper checks or cash, such as contributing money for my 8-year old’s school fundraisers and paying our weekend babysitters. Cash is brought to you by Square, the ubiquitous white credit card readers used by millions of businesses and merchants across the country. And the Square Cash app has multiple security features to help keep your transactions secure, including optional fingerprint or password protection for payments and encrypted data transmission. 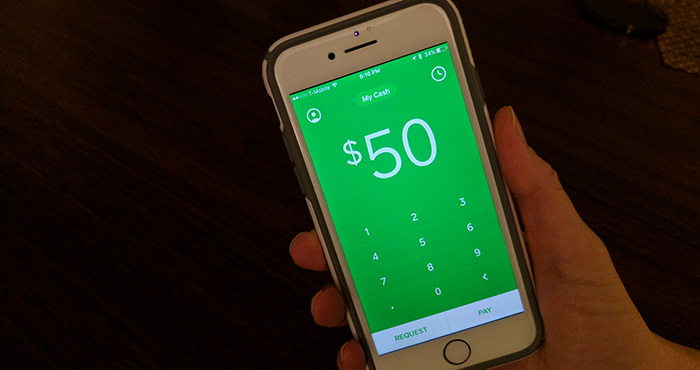 Download Square Cash from the Apple App Store or Google Play and find out how easy it really is. This is a sponsored conversation on behalf of Square, Inc.